(6 PMA CECs) (Physical Therapy CEUs)* Join us for this special pre-conference event designed to explore the necessity and importance of “overcoming pain”, as opposed to “managing pain” – a paradigm shift that allows for significantly better movement outcomes for clients and patients. Walk away with an understanding of how our brain creates the awareness of pain and how we react and behave based on this awareness. Conceived and coordinated by the PMA Board of Directors in collaboration with Hospital for Special Surgery faculty and invited guests, this first-ever presentation will empower Pilates teachers, Physical Therapists and other licensed healthcare professionals with a holistic approach to help their clients and patients overcome pain by focusing on the restoration of function and mobility. NOTE: Please bring a mat to this session. (No PMA CECs Available) Join Blossom for this special class to help you refresh after travel and get energized for the wonderful conference ahead. All levels welcome. Bring your mat! (1 PMA CEC) Circuit Workout! Back by popular demand! Join us for a mega-circuit-extravaganza! This session features Elizabeth Larkam, Alan Herdman and Joy Karley teaching on 20 Allegro®, 20 EXO® Chairs, and 20 Pilates Arc®. Sixty delegates will be split into three groups of 20; each group will spend approximately 20 minutes in each station, before rotating to the next. Grateful thanks to Balanced Body® for making this possible! Balancing the Core of Your Business – You! When you’re passionate about whole body health, it can feel like there’s nothing you can’t take on – new ideas, new approaches, the latest equipment – bring ‘em! However, what’s the cost to your personal and professional wellness, and to your business’s bottom line and sustainability? Using Pilates’ key concepts of balance, strength and flexibility, Linda will help you discover your greatest gifts and how to align your work structure with them, including where to focus your precious time and attention. Passion, wholeness, efficiency, and abundance – bring that! (2 PMA CECs) This experiential workshop is inspired by Kathy Grant, her use of sound in her warm-up and within traditional Pilates. Learn the movements from Kathy Grant’s movement library. I will share how to incorporate these techniques within matwork and equipment teaching. You will find awareness, breath and inspiration from a tool you already have! This will be a whole body, fully sensory experience. (2 PMA CECs) This two-hour practical workshop with Dr. Anderson will focus on using the tools of alignment, load and tempo to facilitate efficient motor learning experiences with clients. He will demonstrate how to manipulate these to create desired outcomes during instruction on the Pilates equipment. Dr. Anderson will lead participants through a movement experience from matwork to standing to create increased awareness of these three powerful tools when facilitating movement acquisition. (2 PMA CECs) Most Diastasis Recti programs simply focus on avoiding flexion and engaging the Transverse Abdominis. We will go much deeper and look at the factors that disrupt the normal dynamics in the abdominal cavity to cause this condition. You will learn how to identify it (not diagnose), how to help prevent it, and how to help close it. Every client is unique and needs this work tailored to their particular body! Katrina's real life experience as a mother of 6, coupled with her vast studio experience make this a “don't miss” workshop! (2 PMA CECs) The “Arm Box” is anatomical imagery that Pilates teachers can utilize with clients to quickly and powerfully organize the upper body. We’ll explore how the spine and ribcage orient, move with and through The Arm Box as we play with Joseph Pilates’ brilliant whole body exercise system. Learn to use this simple and effective imagery to unify and structure the multiple possibilities of the shoulder girdle. Open the door to freeing your neck and expanding your chest and shoulders from within. (2 PMA CECs) Pedagogy is the art, science, or profession of teaching, usually in Education. This workshop is designed to teach you about how to teach Pilates in an education setting, specifically, SCHOOLS in elementary, middle and high school. You will also learn what research exists to support teaching in a school setting, how to design a Pilates unit plan and who to talk to to get into a school. There will be one elementary unit and 22 partner exercises! (2 PMA CECs) This workshop is intended to encourage the instructor to establish and/or reiterate effective components of cueing. These components include clear and active starting positions, opposition, sufficient energy, and assessing/reassessing for more effective movement patterns. Instructors will use these tools to better see and understand what needs to be cued and how to cue in order to more effectively progress clients in their sessions. (2 PMA CECs) In this workshop we will delve into the power inherent in the feet, which both ground our entire body as well as act as a conduit for energy and information. We will explore the ramifications of the support and action of the feet rising through the legs and into the hips and pelvis. We will learn how to get the most out of and into our feet throughout the Pilates repertoire. (2 PMA CECs) As Pilates teachers, we are professional presenters and speakers. Our voices play a defining role in how we see ourselves, and how how we impact others. The way in which we use our voice and body language with our clients has a direct influence on the way our clients listen and then assimilate the work. Get to know your voice, and the way it affects your listeners. In this workshop, you will learn specific skills and techniques to gain freedom in your voice and speech, and become more empowered in the process. These skills are a distillation of a multi-discipline approach which includes the science and art of presentation and public speaking; anatomy of respiration, voice, and speech; release work from physical habits that can inhibit voice and articulation musculature, and therefore enable speech choices. The approach is goal oriented, but also playful and fun. This workshop is for you if you teach one-on-one, group classes, workshops, teacher-training, and especially when your main tool is your voice, such as sessions via online, audio, or podcast. Learn how you can create an engaging experience for your students, and one where every time your students return to your class, they return to themselves. Easy to put in to practice, you will be able to use these skills in your very next session… and tap in to them for your entire life. (2 PMA CECs) Assessment is a necessary process in the education arena, particularly in this age of distance learning. Are your test questions confusing your students? Do your students love your instruction but hate your exams? Are you testing correctly following the best standards of examination practice? This workshop is designed for those who write exam questions, including Subject Matter Experts / Item Writers for the Pilates Certification Program exam, and those who develop and instruct in Pilates schools. Karyn Staples and Kathleen McDonough, (Chairs, Item Writing Committee, Pilates Certification Program) will examine how to write a good exam question, what to avoid, and build your confidence by constructing quality questions together. (1 PMA CEC) The Pilates School Approval Program (PSAP) is helping Pilates schools to ‘raise the bar’ and enhance all areas of their operations. We invite you to be part of this great industry development! Become a leader in the teacher training field and enroll in this workshop to learn more about the Pilates School Approval Program. We will start with an overview of the program; we will then show you how to navigate the application process. We will also answer all your questions about approval, renewals, main locations and additional locations, and finally, we will give you practical examples to help you get started! You are also welcome to join us if you have already started an application but got a bit lost in the process. The workshop is intended for Pilates school owners and administrators. (1 PMA CEC) Circuit Workout! Back by popular demand! Join us for a mega-circuit-extravaganza! This session features Serafino Ambrosio, Debora Kolwey & Susan Moran Sheehy teaching on 20 Allegro®, 20 EXO® Chairs, and 20 Pilates Arc®. Sixty delegates will be split into three groups of 20; each group will spend approximately 20 minutes in each station, before rotating to the next. Grateful thanks to Balanced Body® for making this possible! (No PMA CECs are available for this session)This exciting movement dance class will teach the basics of voguing. Vogue, or voguing, is a highly stylized, modern house dance originating in the 1970s that evolved out of the Harlem ballroom scene. It gained mainstream exposure when it was featured in Madonna’s song and video “Vogue” and has continued to evolve and expand as a cultural movement Internationally. Join the fun and move as the class will explore the five elements of Vogue Femme as well as how to "walk" and battle in a ball. This class is the perfect introduction to the Vogue Dance Battle that will be held at 8:00 pm on Thursday. (2 PMA CECs) Looking at what we think we know, with the experience we have gained through teaching and the exposure to a wide variety of clients, should we reevaluate the knowledge we have, adjust and expand that knowledge? (2 PMA CECs) In this creative Wunda Chair workshop you’ll learn new exercises and creative transitions. We will look at how sequencing the exercises and limiting spring changes will make teaching on the chair flow more easily and deliver powerful results. (2PMA CECs) So many variations and so little time! Unveil the why, what, when and who of choosing the correct variation for the needs of the client. When the purpose of each exercise is focused on, the variation choice is simplified. In this workshop you will learn not only what to choose, but why to use one variation over another and maintain the purpose of each exercise. Bring your mat! (2 PMA CECs) If we are ever to breathe well, our ribs and our diaphragm must receive much more of our focus and attention. The source of restricted breathing is personal, collective, cultural and metaphysical. It's a huge problem. In 43 years of teaching Pilates and 59 years of living Pilates I have never yet seen or experienced a client with a natural totally open rib-cage! I mean natural in the way that a healthy animal uses its ribs and its diaphragm in breathing. I've worked with and on many beautiful bodies, bodies developing and opening everywhere except in the rib cage. Even to the eye the ribs have stayed young ... have stayed "put" ... most especially for the historically repressed feminine side of humanity. So what is this about? Why would this be? Come to my workshop to learn the answers! (2 PMA CECs) Effective preparation underpins the whole client program. The ‘Warm Up’ section (before The Hundred) of any program provides the opportunity to make or break the session. It is here that we can strategically set up muscle patterns, postural address, and specific focus that allows the program to build from a positive starting point. This preparation section can then be honed for client home practice and progression. In this workshop explore and experience warm up sequences based on strategic movement pattern and postural address, and take away strategies for maximizing the preparation section of any workout within appropriate time frames and with reasoning for different client types. This will be a highly practical, mat-based workshop. (2 PMA CECs) This workshop will teach Pilates instructors how to work with clients suffering from some of the most common hip injuries and pathologies. Functional anatomy, biomechanics, and current research related to the hip will be reviewed. Though it is outside the scope of practice for Pilates teachers to evaluate or treat injuries as a physical therapist would, these conditions are commonly encountered and thus it is important to understand them, and if appropriate, know how to deal with them. Participants will learn precautions and contraindications for these injuries, as well as options and exercise modifications to the original Pilates repertoire. (2 PMA CECs) Our brains have incredible power over what, when and how we move. In this highly interactive workshop, we will explore how the brain is wired and the seven conditions needed to build healthy movement patterns. You will have an opportunity to test your brain speed and experience firsthand how brain speed directly improves your movement in areas where you feel deficient. Begin to immediately apply the Brain Speed Tool and principles to your practice. (2 PMA CECs) Watch the world’s top marathon runners and you’ll notice their torsos stay in place while their limbs propel them through space. The road running industry has experienced a 300% growth from 1990 to 2013 and Pilates is the ultimate cross-training technique for runners. Learn how Pilates can counteract the physiological impact of running and realign the joints. Help your clients improve their form, run with correct alignment, move efficiently without strain, and increased endurance. In this workshop you will learn the imbalances that come from running, address the specific training needs of runners and design a cross training workout to improve performance. (2 PMA CECs) Are you thinking about starting your own Pilates studio or are you in your first year of business? If your answer is “yes” - this is the workshop for you. You want to combine your love of Pilates with a business that can give you lifestyle and income. Other people run successful Pilates studios and now you feel motivated to create your own studio. You just don’t know where to start! You will cover the seven step methodology which helps you focus your attention on the important factors to create and start your own viable Pilates studio. You will leave with a clear Action Plan for what to do to get started. Join the exciting world of Voguing in this celebration of movement and self-expression. Hosted by Isla Cheadle, with the help of members from the voguing community from Los Angeles and Las Vegas, you will get a first-hand experience of a Vogue Dance Battle. It is highly recommended that you attend Isla's voguing class in the afternoon to learn the basic movements. If you aren't able to attend the class, you are still welcome to participate in the battle and get your 10s! The theme is Black and White, some come dressed to impress! Never watched a voguing dance battle? Then check out this video. 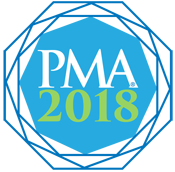 (1 PMA CEC) Are you interested in presenting at the PMA conference and not sure how to get started? Join PMA Board President Shelly Power to review the process step-by-step. We’ll talk about how to fill out the online application, create a bibliography and an application video. There are a lot of little things that you can do to make your application rise to the top, and we will talk about them all. (1 PMA CEC) “The greatest good you can do for another is not just to share your riches but to reveal to him his own.” Benjamin Disraeli. Come prepared to ask questions, participate and learn about the gratifying world of mentorship. (1.5 PMA CECs) Are you thinking about starting your own Pilates studio or are you in your first year of business? If your answer is "yes" - this is the workshop for you. You want to combine your love of Pilates with a business that can give you lifestyle and income. Other people run successful Pilates studios and now you feel motivated to create your own studio. You just don't know where to start! You will cover the seven step methodology which helps you focus your attention on the important factors to create and start your own viable Pilates studio. You will leave with a clear Action Plan for what to do to get started. Panel/Social Media: Friend or Foe to our Pilates Businesses and Industry? (2 PMA CECs) Social media has become the key marketing tool for many Pilates teachers. Platforms like Instagram and Facebook can help attract clients, develop brands, and connect instructors worldwide. Social Media can also be used to sensationalize issues, misinform, and damage the Pilates profession. The panel will share their thoughts on how to use social media to build a business, and still be professional. Examples of the type of questions that will be explored are: How do we showcase Pilates as an entire system without reducing it to cool tricks and individual exercises? How do we guide safety and education for the public and newer teachers? How do we avoid sharing "fake news"? How do we elevate the standard and quality of Pilates? This is not a basic how-to guide for using social media, but rather a discussion with panelists who have successfully used social media to build their businesses and unite the Pilates community. Chair: John Marston, PMA Board Director. Panelists: Rebekah Rotstein, Buff Bones®; Benjamin Degenhardt, 360° Pilates; Tracey Mallett, Booty Barre®; and Delia Buckmaster, Delia Pilates®. (2 PMA CECs) The health of our feet is critically important, yet rarely discussed. Blossom will share the techniques she has curated over the years to strengthen, realign and stretch the feet. The movements come from her own teaching experience, Kathy Grant and other Pilates teachers. In this workshop, you will see how the feet are the structural foundation for our knees and hips. We will use our eyes, hands, balls, towels and pads to connect to the feet while investigating their role in balance and strength. We will also examine how the feet play a role in traditional Pilates exercises on equipment like the Reformer, Wunda Chair, Cadillac and Barrels in addition to learning strategies for how to better incorporate the feet into your everyday Pilates teaching. (2 PMA CECs) Every Pilates instructor encounters chronic pain clients daily. When facing a client who complains of pain and discomfort, instructors need to find the right words and use an effective strategy to successfully complete the class and maintain their client's trust and confidence. This workshop will provide Pilates instructors with valuable information including an in-depth understanding of pain neurophysiology and psycho-social aspects to better handle the distress their clients are dealing with and create positive movement experiences for them. The lecture will be followed by a case study and practical guidelines for cueing, goal setting and program design. (2 PMA CECs) In this workshop, learn how the mat and Reformer are the “assessment” of your client. How do you take what you see in terms of the client’s body and improve the patterns that you see? Understand how the exercises on the mat can transfer to the other apparatuses and help the connection and movement for your client. Using those mat exercises, see how the client can improve by using the Trapeze Table, Wunda Chair, and Barrels. (2 PMA CECs) As I look back at the many memories I have gathered during my sixty years of Pilates experience, there are so many anecdotes of working with Joe, Clara, Bob Seed, Carola Trier, Kathy Grant, and so many others, all wonderful people. A truly privileged life that the essence thereof I will share with you. For the second half of the workshop, we will shift gears and spend some time executing wonderful and challenging exercises that we often neglect, such as Neck Pull, Corkscrew, etc. I will also talk about the need to eliminate the myth that Pilates is solely for dancers, seniors and ladies. One of my goals is to attract males back to Pilates. (2 PMA CECs) Ever get one of those tough clients whose body just won't respond to standard cues or assists? Have clients with neurological deficits or strong clients who you want to push even further? In this workshop, we'll study how to hack into the neural circuitry of the central and peripheral nervous systems to improve your or your client's movement performance. WS3/Mary Thornton/Hypermobility - Keeping it In the Box! (2 PMA CECs) Mary will be presenting an overview of hypermobility, examining this complex pathology and its vast spectrum of symptoms. We will examine the muscular skeletal dysfunctions that may present in these clients and explore the importance of correct verbal cueing and appropriate touch to facilitate stability of the lower limbs and pelvis. The outcome of the workshop is to enhance the Pilates teachers awareness of this condition and reflect on how we could adapt Pilates exercises. (2 PMA CECs) This creative and fun workshop will increase your repertoire of mat exercises with SPICE. Learn how to use the Spine Corrector and floor to improve your client's body awareness, tone, flexibility and joy of movement. Explore how to use gravity and kinetic chains to increase and decrease intensity. We will play with and explore different transitions between exercises. If you’re looking for a creative workshop full of innovative and enjoyable moves, this is for you. Use them the next day in your practice! (2 PMA CECs) Intermediate & Advanced Wunda Chair Fun! “The mind, when housed within a healthful body, possesses a glorious sense of power,” said Joseph Pilates. Learn different workout sequences for the Wunda Chair, to be used within a session or as a whole workout. This workshop will offer you 3-5 Wunda Chair sequences that stay within the classical repertoire. We will look at how to challenge the client with effective use of the Pilates principles alongside innovative choreography that will offer a stamina challenge for the Intermediate to Advanced level clients. (2 PMA CECs) Why can some Pilates professionals engage and retain clients more easily than others? How can we become the driving factor that keeps a client returning? Much of the answer lies in enhancing our own subtitles of client communication, as well as learning to leverage our own individual authenticity in that communication. This interactive session gives you step-by-step strategies to analyze and enhance your own ability to identify and enhance your specific communication strengths to subtly enhance client engagement. Panel/Getting Philosophical – Are we “Teaching” or “Instructing"? (2 PMA CECs) Pilates is not merely an exercise regime. It is a philosophy of movement and health. Are we embracing and communicating the breadth of this philosophy? Join us to discuss how we can be more effective teachers, and how our intent can shape the future of Pilates. Chair: Shelly Power, PMA CPT, PMA Board Director. Panelists: Peter Roël, PMA CPT and Deborah Lessen, PMA CPT. (2 PMA CECs) “Change happens through movement and movement heals,” said Joseph Pilates. If you have seen and tried the all popular functional movement screens being used by professionals today, you have probably wondered how to get from that screen to a healthy movement pattern. This workshop will present the Pilates fundamental movement screen that gets to the bottom of the movement issue and provides simple and effective Pilates-based movements using neural facilitation to restore healthy movement. (2 PMA CECs) Enrich your understanding and mastery of reformer exercises from the repertoire of J. H. Pilates by learning about the embryological development of the tongue, eyes, and hands that influences motor control. Embryology of the tongue connects it to the contractility of the front, back, lateral and spiral fields of the body. The six external eye muscles that control the eyeball in its socket are neurologically linked to suboccipital movement. Your finger maps take up one hundred times as much cortical real estate as your torso maps because there are far more touch receptors in your fingers compared to your torso. Integrate cues for the tongue, eyes, and hands to make your Pilates reformer practice and teaching accurate, effective, efficient, and fun! (2 PMA CECs) To teach and to improve the way we teach, we not only have to be knowledgeable about the body and the exercises, but we also need to be able to communicate this knowledge and transfer it to our clients. During our classes VISUAL, VERBAL and TACTILE cues keep alternating and overlapping like a smooth dance. The more we are aware of the potential of these three aspects of teaching the better we can use them. (2 PMA CECs) This program is a combination of traditional advanced exercises and other bodyweight exercises that complement each other, flow well and challenge even your strongest clients. Using combinations of exercises brings flow and creativity and makes teaching exciting and fun. We combine the best of both worlds (fitness and Pilates) to bring you a creative and challenging workout that’s full of the joy of movement. (2 PMA CECs) This workshop celebrates the 40th anniversary of Ron Fletcher's book, Every Body is Beautiful! Originally published in 1978, Every Body is Beautiful was one of the few books written and produced by the first generation Pilates masters and it has since become a collectors item. In this workshop, we'll review Fletcher's approach to Body Contrology, including breathing, body awareness and correct body alignment. Participants will experience a class based on movements in the book, seamlessly linking classic Pilates matwork with Graham-based Fletcher Floorwork, all based on the Pilates movement fundamentals and principles for a full-body movement experience. (2 PMA CECs) Have you ever had that client who is so fragile, you’re not quite sure what to do with them? Have you ever felt that a traditional workout might actually be dangerous? For many of these clients there is a proven path toward a healthy exercise regimen, rich with Pilates and Pilates-based movement. This workshop provides a systematic, safe and effective outline to gradually progress the fragile, sedentary client toward achieving the strength, flexibility and balance necessary for more ordinary Pilates work on apparatus. The protocol includes Prep-pre-Pilates, Pre-Pilates and basic conditioning movements that will be achievable by even the most fragile client. (2 PMA CECs) Great teachers don’t just teach content, they awaken curiosity and gradually empower students to take full responsibility for their learning. By focusing on foundational movement lessons, and understanding how to strategically reinforce them in new and increasingly challenging ways, Pilates teachers have all the tools we need to establish priorities, tailor lessons to individual needs, assess learning, monitor progress and even quantify it! When we have clarity about our educational purpose, we can achieve the greatest result of all: teaching students to become experts of their bodies. (2 PMA CECs) Pilates teachers constantly need to be motivated and inspired. Dealing with a busy studio often leads to complacency and boring, repetitive teaching. Teachers also tend to neglect their personal practice due to lack of time or motivation. “In order to teach you have to feel it” is one of Joe's many mantras. This course aims to further develop the teacher's eye. Learning to identify and focus on the client's particular needs, provides a refreshing teaching challenge and encourages the teacher to make use of all the valuable accessory Pilates equipment available. It is about re-igniting the spark in teaching and learning to work effectively and succinctly towards solutions. (2 PMA CECs) Steve Jobs was on to something when he said, “Get closer than ever to your customers.” So close that you tell them what they need well before they realize it themselves. Customers are the cornerstone of our businesses, and the most important driving force of our bottom line. So how do we get them in the door and then keep them coming back? This course is designed to teach you how to increase retention and drive revenue by getting inside the mind of your customer. Our goal is simple: to efficiently create an environment that not only meets customer expectations, but exceeds them - directly leading to profitable growth. By incorporating just a few targeted strategies into your business model, you’ll be well on your way to customer retention, referrals and, ultimately, revenue. Radical self-expression arises from the unique gifts of the individual. No one other than the individual or a collaborating group can determine its content. It is offered as a gift to others. How do you want to express yourself? What are your unique gifts? What are you going to share with our community? How does Pilates allow you to express yourself? What should I wear? Whatever you would like to radically self express yourself. Will there be music and dancing? Yes, so wear those dancing shoes! There will be cash bars and no food will be available at the party (so eat at one of the many locations in the hotel). Please note that the party begins at the pool deck and then there's an after party at the Ravello Lounge from 9pm to closing. PMA Plaza Open - FINAL SHOPPING HOURS!! (2 PMA CECs) As Pilates teachers we focus on the strength and positioning of our core but what about our necks? Why is it important to have a good head/neck position? Discover more about the anatomy of the neck and discuss the importance of correct head/neck placement for optimal movement. Join Claudia for an interactive workshop discovering the importance and relevance of head/neck control in the Pilates work. Explore how the positioning of the head affects the mobility and strength of the neck, its fascia and its relationship to the body including the vestibular system. (2 PMA CECs) If we only train our bodies to obey a set of arbitrary rules about proper form and healthy behaviors, we may for a while realize a certain level of obedience, but we may find ourselves at a loss when for whatever reason we cannot continue to perform as desired. Participants will experience how to trust the intelligence of their own bodies in movement, and learn how to translate this into more confidence and intuition in their teaching. Participants will be led through guided movement explorations, we will discuss our habitual patterns that get in the way, and there will be opportunities to practice teaching each other in more intuitive and harmonious ways. (2 PMA CECs) This workshop will examine a step by step procedure for developing spontaneous movement programs for individualized personal practice, one on one sessions and group classes. Mindful listening, intuition and movement observation will be explored as indicators to inform the Pilates session. (2 PMA CECs) The hip is a complicated joint with complex functions. Aches, pains, tightness and imbalances seem to be more and more common for all ages these days. Cell phones and laptops have brought extremely poor postural habits to both young and old. We will review hip function and some frequent issues many of our clients experience. We will demystify the hips by learning to determine the actual issues affecting them, and choose the correct strategies to improve function. We will break down some counterintuitive yet helpful training protocols and debunk some myths. Common postural patterns will be discussed with corrective strategies to alleviate the resulting aches and pains. Exercises and sequences are appropriate for group classes and private training. (2 PMA CECs) Pilates is filled with opportunities for supporting BRAIN health. Have you ever considered how the method can support cognitive health, concussion healing, ADD/ADHD or decrease anxiety and stress? Discover how homo-lateral vs. contra-lateral movement can enhance or inhibit brain function. Investigate how primitive and life-long reflexes can be assessed and incorporated into your Pilates programming to allow for greater ease of function. Come away empowered to seamlessly incorporate new tools into your self-care and studio the very next day! Go beyond just talking about the mind-body connection and truly discover how to integrate the mind and body for transformative sessions. WS5/Montse Cosin/The Fantastic Foam Roller; What is Foam Roller and How Does it Work? (2 PMA CECs) The Foam Roller has recently seen an amazing rise in popularity in the world of health and fitness. It has a number of benefits which include pain relief and myofascial release. It improves functional movement such as mobility, core strength, and balance; resulting in better posture and performance. In this workshop we will explain all the benefits of the Foam Roller, and we will learn how to incorporate this prop into our mat classes. (2 PMA CECs) Acquire the skills to address the unique needs of our aging population. This workshop explores multiple age related changes and the science behind them. Learn how to design a program highlighting the strength of your clients while modifying for weaknesses and contraindications. Special focus will be given to osteoarthritis, osteoporosis and disc herniations. Using Pilates equipment and small props, you’ll acquire creative ideas to implement immediately. Science has increased the quantity of life; through Pilates we can maximize the quality of life. Empower your clients to age with strength and grace. This is the gift we can give to our aging population. (2 PMA CECs) As a Pilates studio owner, are you building a job for you to go to work — or are you building a business that works for you? As studio owners we face a constant struggle of being held captive in the trenches of our business, while juggling advertising, finance and operations management. This relentless wear and tear on our bodies, hearts and minds is unsustainable. Freedom and growth require replicable, measurable systems that are founded in the key success factors that differentiate your business and reflect your voice. In this workshop, we use a case study to teach participants how to define their business voice, identify three key success factors that distinguish their business and use those factors to build replicable systems for organizational growth. (2 PMA CECs) Marketing is key for your studio’s survival. Testimonials, free trials, and discounts are a great place to start. But they may not be adequate to be competitive in your market and sustain your business. There is powerful information in and around your studio that can be mined for marketing purposes. Evidence-based marketing uses data, research evidence, trends and best practices to develop messages for specific target audiences. This workshop will introduce strategies to source information from current clients, the local community, and your competition. Create an evidence-based marketing strategy without spending a dime. (1.25 PMA CECs) Come join Anula Maiberg, Kathryn Ross-Nash, Erika Quest & Jenna Zaffino for an unforgettable mat class with the entire delegation! (4 PMA CECs) Taught by Irene Dowd and assisted by Steven Fetherhuff. As we move through life into maturity, our strategies may need to change. Since longevity is increasing, it becomes more and more essential to find ways to safely move through our rapidly changing world (without withdrawing from the activities we enjoy). We will explore ways in which the use of our powerful brains coupled with adaptive physical training strategies can serve us through time, as we seek full engagement in actively living well. Not only does the world around us change, but so do our bodies as we move into our sixth to ninth decades. Those changes are different for each person, but at some point: muscle mass may decrease, skeletal joints may become more hyper-mobile and possibly less stable, strong connective tissues become more lax and thus able to stretch more but hold together less strongly, proprioceptive acuity and fine-motor skill may change as nerve synapses alter or become sparser, equilibrium skills may become slower or less efficient. All these changes can be addressed by altering our physical training to develop strength, stability, coordination, proprioceptive awareness, and balance while performing activities relevant to our daily lives in new ways. By sustaining our adaptability, we can function optimally throughout life, in the context of our personal challenging environments, both inside and outside of the Pilates studio.